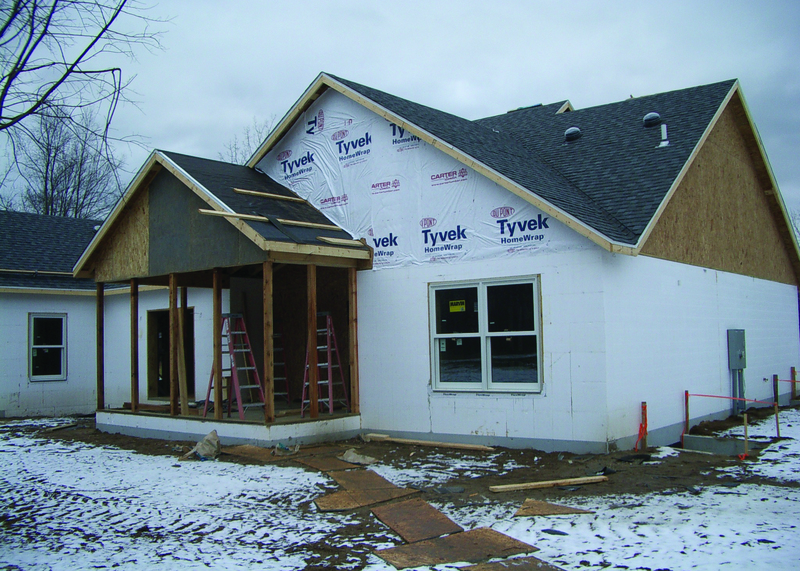 The Mannan Home was built to be energy efficient with the use of BuildBlock ICFs. The Mannan Home was built using three rating systems: The local utility’s REMC Touchstone Energy standard, The Energy Star Five Star + standard and the NAHB Gold Standard. The home achieved a HERS rating of 39 and was the most efficient structure built in Indiana under the Touchstone program in 2008. This project was designed and constructed with the mainstreaming of ICF technology in mind. The realization that the use of ICFs would not interfere with interior or exterior finishes and can be integrated into any project to achieve superior results were reasons why the contractor chose to use them. 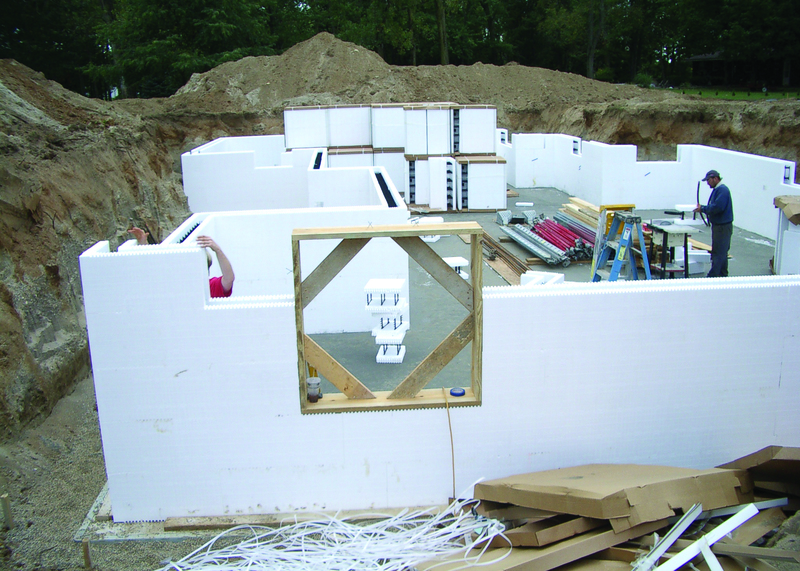 The fact that there were no unexpected surprises or cost over runs only further solidified the belief that ICFs are the way to build. The home is 2,130 square foot on the main level, with a bonus room above the garage and a full basement. 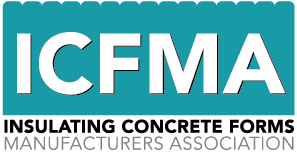 ICFs allowed the builder to minimize the amount of waste directed to the landfill and allowed all materials to be recycled. 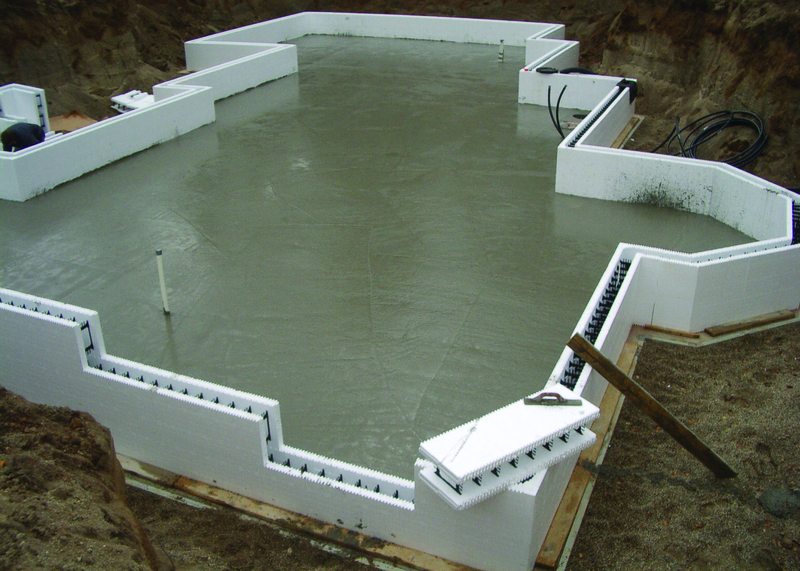 The use of ICFs also allowed for reduced excavation in the basement area, simplifying the back fill process. 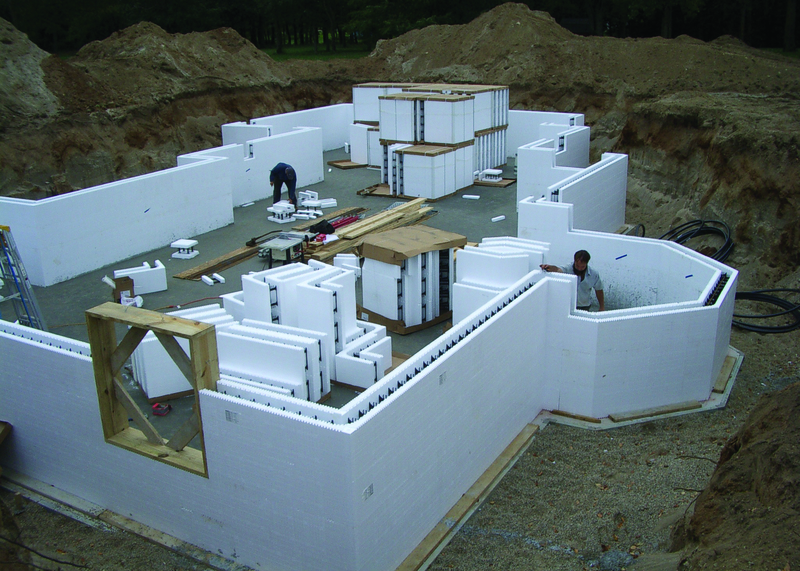 When working with the Mannan’s, the subjects of how to reduce energy demands on the home along with increased structural strength and sound transmission were definite benefits that ICF technology addressed. The availability of different form types were beneficial to the waste management in the construction process. 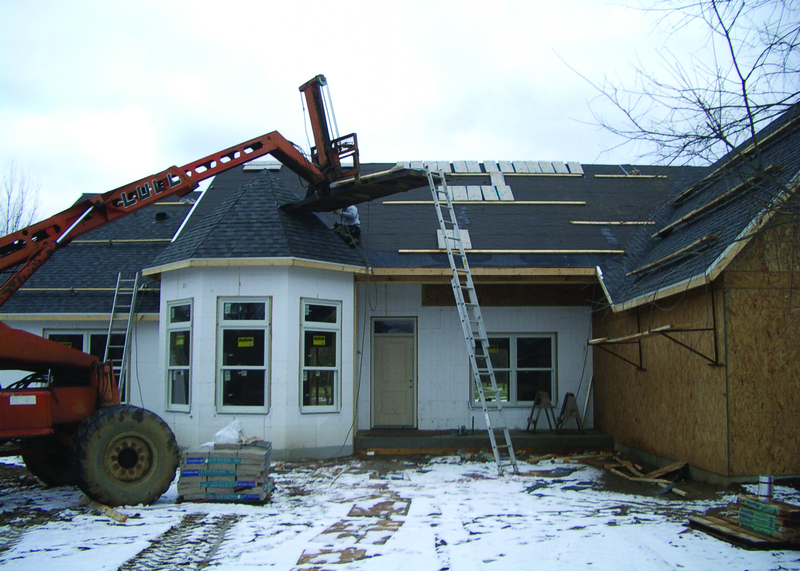 The site in northern Indiana is susceptible to tornado activity and through the use of ICFs we were able to build a safe, secure home capable of resisting all but the worst that nature can deliver. This equates to peace of mind. interruption. A side benefit of the process was realized when the drywall crews were inside finishing and commented on how little heat was required to maintain comfort level in the building. This should equate to reduced costs on future winter projects. The established time line for the construction project was held and the final move-in date was only moved back one week establishing a 5 month start-to-finish build. “We are pioneers in the green building field in the Midwest. Our community is traditionally conservative and therefore reluctant to change. With this in mind, our commitment is to maintain the home as a showcase of technology on a local level. We encourage builders, homeowners, educational institutions and code officials to visit and hold us accountable to our claims. Only through continued exposure and education can we affect sustainable change. Not only is energy-efficient construction good for the homeowner, it is also a responsible thing to do for the environment. 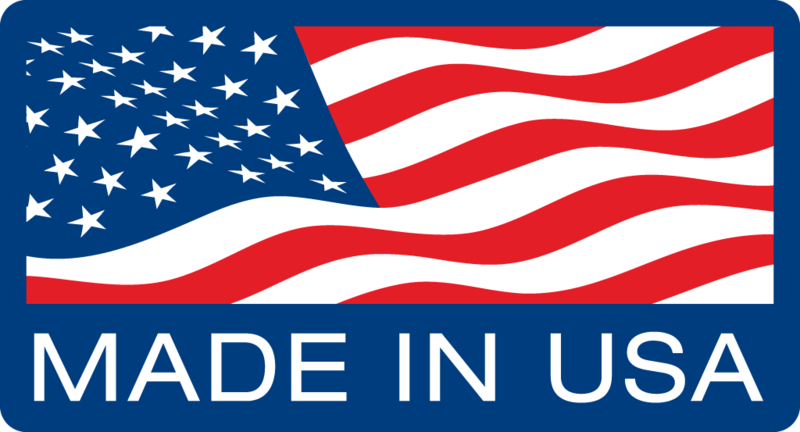 With the rising costs of energy, construction and living expenses we believe that our job is to educate our customers and allow them to make educated decisions. These efforts have reinforced our efforts in establishing our company as leaders in energy-efficient and responsible construction.